About Amber: Hi! I’m Amber with Moon Mama Yoga and Birth Services in Mesa, Arizona! You can find me on facebook, on my website and on instagram. I have a studio in downtown called The Arizona Doulas Yoga and Education center located at 134 W. Pepper Place, Mesa AZ 85201. We have prenatal yoga classes, mommy and me, birth education, trainings, workshops, and more! The births of my own two children inspired me to become a doula. It all started with prenatal yoga when I was pregnant with my daughter 10 years ago. I took a yoga class at a studio in Gilbert and sobbed through the entire hour and a half! I realized that I wasn’t connected at all with my baby inside nor the miraculous transformation my body and mind were going through. I also knew that I wasn’t the only expectant parent to feel this way and I couldn’t deny the pull to help others connect with body, baby, and breath. My journey started with becoming a Certified Yoga Teacher in 2010, then the Prenatal Yoga Teacher certification along with the Birth Doula training in 2015. I had two extraordinary births (one unmedicated hospital birth, one home birth) and I knew all families could have their most ideal birth, not just me! After my experiences, I felt I could help dismantle the belief that birth was scary, painful, medical, one family at a time. Thus tilting the tipping point into a place of birth empowerment for ALL involved. 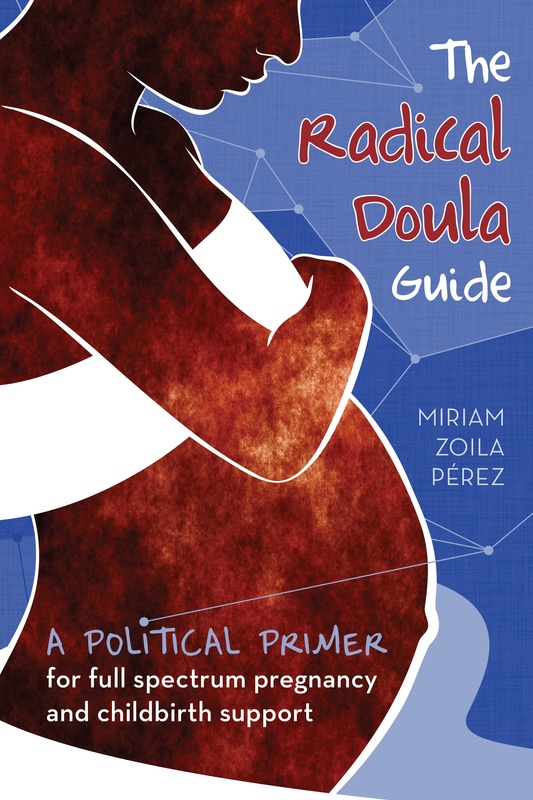 Since I started working as a doula, I have found that in my conservative state of Arizona, I absolutely AM radical. I have joined various doula groups only to leave because of the non-inclusive nature of them. The god fearing, dogma enriched, judgmental way of doula-ing churned my stomach and I knew I was in the wrong place with these groups. Being a doula isn’t linear for me, it is all inclusive, it is spaghetti, it intertwines with all walks of life. A doula meets her client where they are at, not the other way around. We have VERY LITTLE support here in AZ (and especially the east valley) when it comes to anything but the classic “Mom+Dad=baby” scenario. We are completely ignoring a large portion of our community. One that needs our support the most. I draw from Hypnobirthing- deep breaths, calm mind, incredible birth. I believe that women have an innate power to birth and that throughout history that power has been taken from us, we have been convinced as birthing women that we don’t know what we are doing. I tap into ancient practices and intuition to empower my birthing families. Fears, terrors, rage, all kinds of emotions come up as we dismantle these debilitating historical and systemic beliefs. I hold my families and work through these so my clients can birth freely. We used to birth this way, but over time things have shifted. I believe in oder to tip the scales once again, birthing families need doulas (and awesome support circles) to regain their confidence, believe in their power, and voice their rights– no matter who they are, what they look like, whom/what they associate with, or what their spiritual beliefs are. We are all human. And we all have rights. My favorite thing is witnessing total and complete transformation. It rattles my bones every time. And I love it. That all families would be represented, supported, loved, and truly cared for throughout their experience.